For the past two and a half years, serious issues facing Canadian seniors have been ignored by the Trudeau government. I congratulate the Hon. 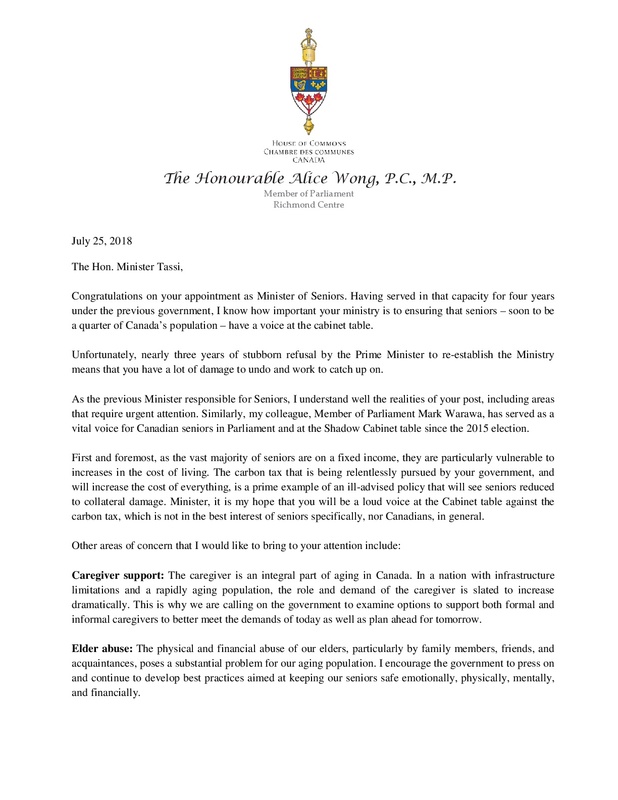 Filomena Tassi on her recent appointment as the Minister for Seniors, and I am hopeful that this appointment will again give Canadian seniors the consideration and dignity they deserve. I look forward to working with Minister Tassi and the Hon. 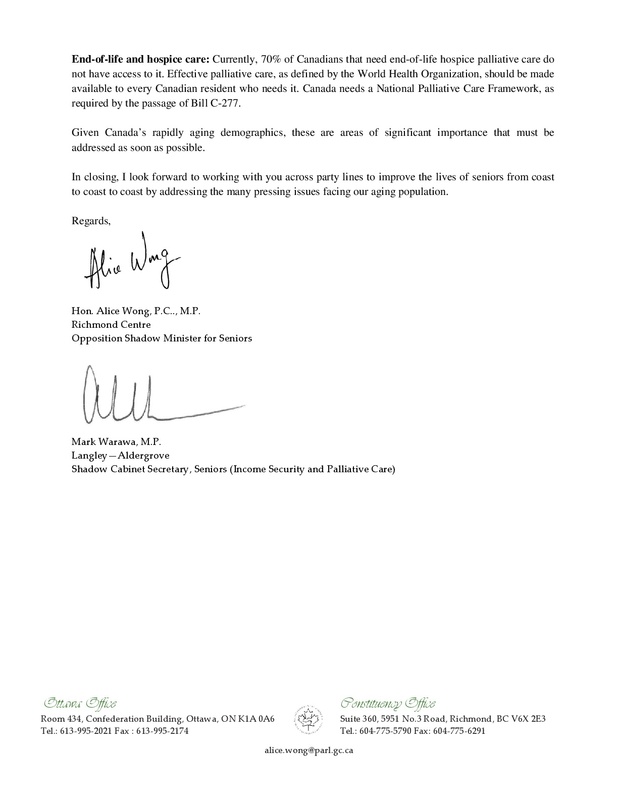 Alice Wong on this important file.